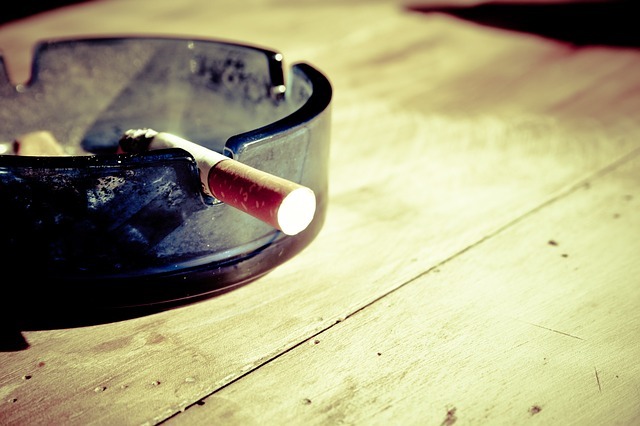 Home » Blog » How Long Does Nicotine Stay In Your System? Nicotine is one of the most addictive substances in the world. It is one of the leading causes of cancer and can also lead to health problems, like empyema and bad breath. Learn how nicotine enters your system and can cause a variety of health issues. Nicotine is a chemical and a drug that is usually ingested into the body through the saliva or respiratory system. It is generally used as a drug and was originally used for medical reasons. It was introduced to Europe by Jean Nicot de Villemain in 1560. The Latin word for tobacco, Nicotiana tabacum, was derived from Nicot de Villeman’s name. The scientists discovered that the substance, so many had considered a miracle cure for so long, was actually a harmful and addictive substance. It comes from the nightshade family. Other plants that come from this family include vegetables that we consume every day. One of the most important pieces of information in nicotine research in the past 50 years is the fact that nicotine is addictive. Before much was known about nicotine addiction, it was commonly thought that nicotine users couldn’t stop smoking or chewing because they lacked the willpower to do so. When an addictive substance enters the body, the substance travels to the brain. The neurons that shoot back and forth in the brain and send messages between the body and the brain can become disrupted by the addictive substance. Substances can either send messages between the brain and the body or fool the brain into sending faulty messages. These messages can be ones of euphoria (when the drug enters the bloodstream) or pain (if the body is experiencing signs of withdrawals). Nicotine can have adverse effects on both the body and the brain. When nicotine enters the body via the respiratory system, the smoke passes through the esophagus to the lungs before being sent to the brain via the blood system. The nicotine can have adverse effects on the mouth, throat and lungs. It can discolor the gums and the tongue. Areas of the mouth can lose their pigmentation. Saliva can also lose its natural enzymes that help to digest food. This can also affect the throat and lungs. The lining of the esophagus can be damaged by prolonged exposure to nicotine. A thick tar can develop in the lungs that can cause emphysema and other lung-related issues and diseases. After nicotine is sent to the lungs, it is absorbed into the body and sent to the brain through the bloodstream. Molecules of nicotine are shaped like the neurotransmitters in the brain and can trick the brain into thinking it’s one of these neurotransmitters called an Acetylcholine. How is Nicotine Absorbed into the Body? The moment nicotine makes contact with your mouth, tongue, nose, throat or lungs, it can begin to make its way into your bloodstream and straight to your brain. Once the nicotine begins moving through your body through your respiratory system, it hits your lungs. It travels into your lung sacks or alveoli. The alveoli then send more nicotine directly to your brain. This is why chewing tobacco or snuff can be just as dangerous as cigarettes, cigars and pipes. When a person places chewing tobacco into the space between the gums and the lip, the tobacco is absorbed through the skin of the mouth and travels through the blood system to the brain. How is Nicotine Metabolized and Excreted? The body metabolizes nicotine similar to the way it metabolizes food. When it reaches the respiratory system, it is first metabolized by the lungs. The lungs can transform the nicotine into cotinine. The liver will also metabolize nicotine in cotinine. Cotinine then travels to other areas of the body, like the hair and saliva. Nicotine is generally excreted the same way waste is excreted. 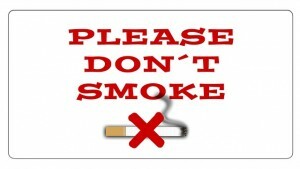 Once nicotine is turned into cotinine, it travels to the saliva, urine and sweat. It can then be excreted through the glands and sweat ducts if excreted as sweat. It may be passed out of the body through the urine or saliva. If a woman is breastfeeding, the cotinine can be excreted through the breastmilk too. The cotinine will then exit the body within 24 hours. So, How Long Does Nicotine Stay In Your System? Many factors can influence how long it might take to clear nicotine from the system. The more your smoke, the more likely nicotine will stay in your system, yet secondhand smoke can also stay in your system for long periods of time. Age can play a huge factor in the amount of time the body takes to clear nicotine from the system. As a person ages, the liver has a more difficult time clearing poisons from the body. People who are unhealthy, have a history of heart disease and use other drugs or alcohol can also expect nicotine to stay in their bodies for longer periods of time. This is because the liver is working double time to try to clean the body of substances, so nicotine can stay in the body for a longer amount of time. How Long Does Nicotine Stay in Breastmilk/Urine/Blood? Saliva can hold nicotine anywhere from 10 hours to four days. Urine can hold nicotine for three-to-four days. Yet breast milk can have other issues. When breastfeeding, the baby could possibly need more milk sooner than the mother’s body can release the nicotine. Most mothers are advised to smoke right after feeding their babies to ensure the nicotine is cleared from the system by the next feeding time. Yet nicotine can affect breast milk and breastfeeding in other ways too. Studies show that babies might be able to taste the tobacco or even smell it. as the result of nicotine in the mother’s body. Sometimes a fake positive can give the appearance of nicotine in the system. Certain amphetamines can cause a false positive too. Some miners experience false positives in tests as the result of exposure to heavy metals. Nicotine and cotinine can be tested through a variety of methods. The most common method is from saliva testing. A saliva test is generally administered by insurance companies or by an employer for insurance reasons. Insurance companies usually charge higher insurance premiums to policyholders who smoke. During a saliva test, a nurse might take a sample from the inside of the mouth with a swab. The sample is then tested in a lab. Over-the-counter saliva kits are also available and are often used by parents to make sure their children don’t smoke cigarettes. The second-most-common type of testing is a urine test. The individual taking the test generally urinates into a cup, and the urine is then sent to a lab for testing. The urine sample is generally tested by passing a test strip through the urine. Blood tests are not commonly administered unless an employer wants to screen for illegal drugs, too. The individual will go to a lab and have blood drawn. The blood is then sent to a lab to be tested. Blood tests aren’t always accurate at detecting nicotine, so most employers stick with urine or saliva testing. Yet hair testing is extremely expensive, and most employers or insurance companies only care about current use and not past use. The body must rid itself of chemicals naturally, so clearing nicotine from the system can take a while. Hair can be cut or shaved to ensure the old follicles don’t still show signs of nicotine. Past smokers can clear nicotine from their system by enjoying a healthy lifestyle and ramping up their metabolisms. can all have an effect on the amount of time nicotine will stay in the system. There are a few methods you can try that should help nicotine flush out of your system more quickly. Some people swear that doing a juice cleanse can help rid the body of old toxins and heavy metals. Water is a vital ingredient we need to stay healthy and hydrated. It can flush out toxins and replace them with important minerals. Quitting cold turkey can be seemingly impossible, and replacing the habit with nicotine patches, electronic cigarettes, or an unhealthy diet can harm your health just like cigarettes. Fortunately, there are ways to make quitting easier, and they don’t involve replacing one bad habit with another. Here are three evidence-based ways to make quitting for good a successful resolution. Whether you prefer Pilates or running, taking the time to exercise can reduce your cravings for cigarettes and make quitting easier. Study findings showed that various exercises, from yoga to higher-intensity physical activity, lowered the desire for cigarettes. Plan to exercise at least three days per week, and stick to the habit; chances are that you will not want to smoke after doing something good for your body. In a world where everyone has a smartphone, there are numerous apps that can help you to kick the habit, and it turns out that these mobile phone tools are actually useful. A control group received messages not related to smoking cessation. 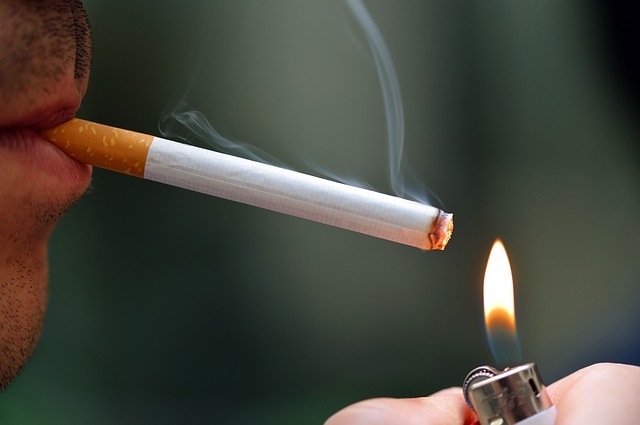 After six months, those in the smoking cessation program were 2.2 times more likely to be abstinent from cigarettes. Download an app such as Smoke-Free, Kwit, or Quit Pro to take advantage of this benefit. If you are committed to giving up cigarettes but feel that you cannot do it all on your own, talk to your doctor about a prescription for Bupropion, a smoking cessation medication that doesn’t contain any nicotine. After eight weeks, 29.3 percent of study participants receiving Bupropion were abstinent from cigarettes, whereas only 10.4 percent of those in the placebo group were abstinent. Bupropion was also more effective than the placebo in reducing daily cigarette consumption. Bupropion can aid you in your quest to give up smoking, along with a regular exercise routine and smoking cessation apps. Talk with your doctor or healthcare provider about your plans to quit smoking, and enlist supportive friends or family members to hold you accountable for giving up cigarettes. With the strategies discussed here, in addition to commitment and effort, this can be the year you finally stop smoking for good. Services, Public Health Service, Alcohol, Drug Abuse, and Mental Health Administration, National Institute on Drug Abuse; 1990. pp. 12–29. DHHS Publication No. (ADM) 90-1690.